Part as ordered, arrived promptly. Spare carried in case existing link fails. It's a SRAM branded quick link, can't really go wrong. Easily fitted and has kept the chain together so far. I have always used Sram quicklinks/powerlocks with both my road and mountain bikes, simple and effective and never had any problems with them. These 11 spd powerlock were a little tighter on initial fitting than the 10 spd ones I'm used to, just hope this doesn't prove to be a problem if I ever have the need to remove it while out on a ride. Always carry a few of these, simply do what they are supposed to, rattle around in my bag for ages but a comfort knowing they are there. Very easy to use, I would recommend these. This saved me on a mountain in Baltic weather a good 10k from home, when I really shouldn't have been wearing shorts as I'm an idiot. Best purchase I have ever made! I use PowerLock connectors with Shimano & SRAM 11 speed chains. Easy to install, easy to use. No impact on shift quality or chain durability. I don't think I'll ever go back to using a solid link pin again. I think a must for all cyclists. So easy to clean chain, easy to remove and install. 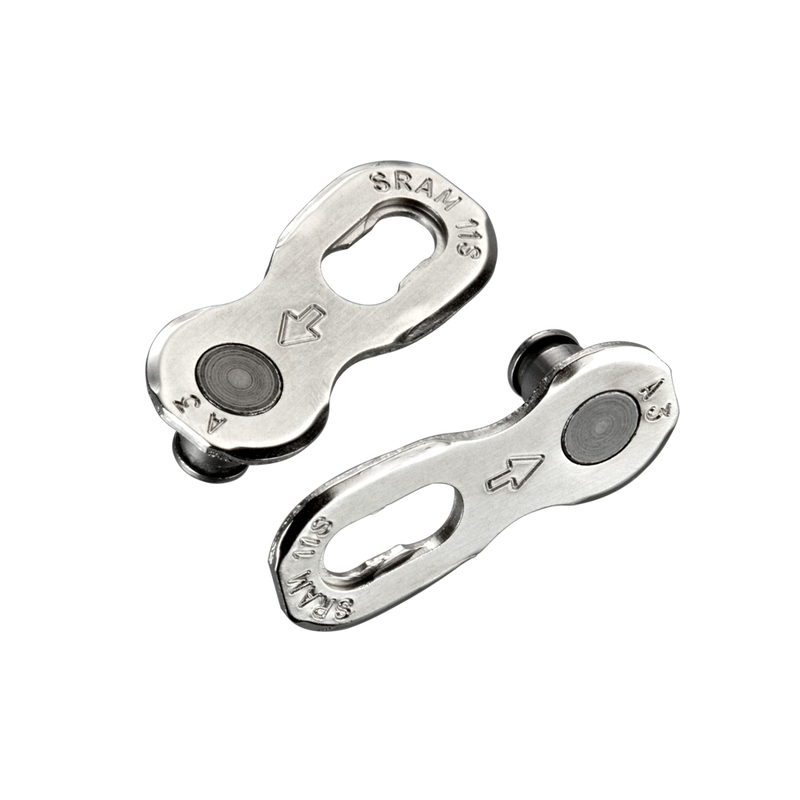 I always carry a couple of these with me, just in case I have a chain snap. Very easy to use, I much prefer to the Shimano pin system. I use on Shimano chains without any problems. Essential as a spare. Despite what they say about single use only I have reused without any failures. Had one before as a standby, used the other day on a mates Shimano 6800 chain after it snapped! - worked a treat. Work as advertised. Can even be fitted to Shimano chains. Always worth carrying a spare in your pack. SRAM PowerLock connector - the gold standard. Been using them for years on 9, 10 and 11 speed drivetrains without a single issue. Nothing else to be said. Purchased as a spare for my saddle bag on longer rides, these links are a fantastic option in the unlikely event you ever break a chain. Takes one minute to fix and although expensive for effectively 'one link', means you can repair and get home rather than be calling for a taxi! Always reassuring to have in case of emergency. Have carried 9spd & 10spd now moved on to 11spd. Hope I never need to use in emergency but cheap enough insurance! Convenient, worth having for cleaning and maintenance. Works perfectly with Shimano's 6800 chain.